Born in an artistic family in Poland, Michal Sobkowiak made his TV debut on "Akademia muzyczna" series as the most talented young pianist at the age of ten. He has performed at major concert halls and music festivals across the country and abroad, including the prestigious National Philharmonic Hall in Warsaw. 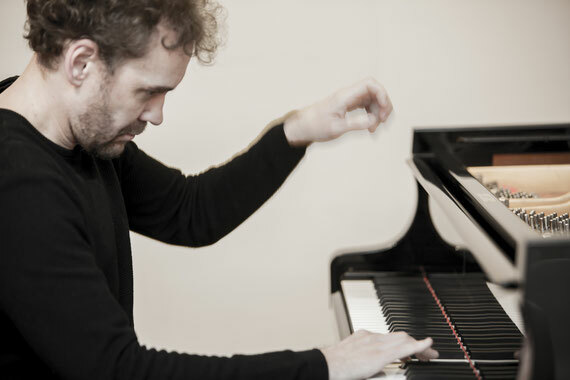 After graduated from Chopin Academy of Music (currently known as the Frederyk Chopin University of Music) in 1998, he further pursued his postgraduate study at the Zürich Conservatory. His former teachers include Andrzej Jasiński, Teresa Manasterska and Gabriela Weiss. In 1995, he was a prizewinner at the Franz Liszt International Piano Competition (Poland). In 1996, he was given a scholarship from the Frederyk Chopin Society (Warsaw). In 1997, he appeared at the Europe Piano Forum (Berlin, Germany). Not only as a classical pianist, prof. Sobkowiak is also known as a jazz pianist, composer, and a dedicated teacher. In 2002, he performed at the 36th Montreux Jazz Festival (Switzerland), his latest CD "Jazz Loves Chopin", released in 2017, became number one on the Top 100 Album ranking of the e-onkyo music. In 2018 he starred as a pianist in the Japanese movie, "Hitsuji to Hagane no Mori". Currently, he serves as a professor at Fukushima College and as a lecturer at Showa University of Music. He has been regularly invited as a jury member at the Europe International Piano Competition in Japan, the PTNA and the International Chopin Piano Competition in ASIA.